Post Malone and Ty Dolla $ign recently teamed up for "Psycho" off of the former's upcoming Beerbongs & Bentleys album, and now the joint track has been paired with a music video. The clip finds Malone cruising through the desert atop a tank, eventually encountering a young girl in a bear-infested junkyard. He takes a flamethrower to the place, then it inexplicably starts to snow. 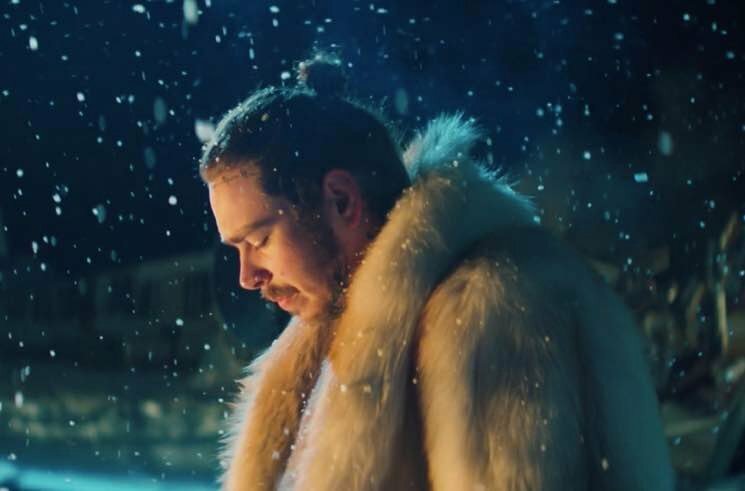 Malone is then joined by Ty Dolla $ign, and the pair don fancy fur coats and bask in the field of snow-covered scrap metal. You can try to make sense of it for yourself by watching the video for "Psycho" below. Beerbongs & Bentleys still does not have a confirmed release date.